...for all the changes to the working class, Eggleston's unbiased and unencumbered photographic vision of the country has stayed so fixedly relevant, and few others have come close to touching him.--Alexandra Pechman "W Magazine "
William Eggleston was born in 1939 in Memphis, Tennessee, where he continues to live today. Since the 1970s, his work has been the subject of solo exhibitions at prominent institutions worldwide, beginning with his 1976 show at The Museum of Modern Art, New York. In 2008, a major career-spanning survey organized by the Whitney Museum of American Art in New York and Haus der Kunst in Munich then traveled to the Corcoran Gallery of Art, Washington, DC; the Art Institute of Chicago; and the Los Angeles County Museum of Art. 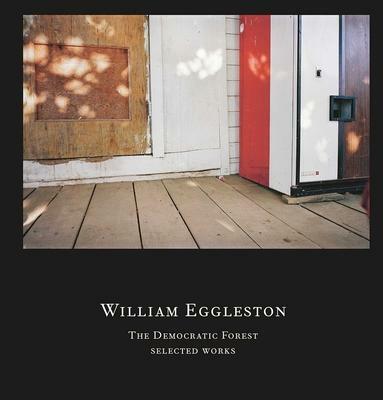 Eggleston received a National Endowment for the Arts Fellowship in 1975 and has been the recipient of numerous notable awards, including the University of Memphis Distinguished Achievement Award (1996); Hasselblad Foundation International Award in Photography (1998); International Center of Photography Infinity Award for Lifetime Achievement (2004); the Getty Images Lifetime Achievement Award (2004); and the Chevalier de l'Ordre des Arts et des Lettres (2016), among others. Alexander Nemerov is department chair and the Carl and Marilynn Thoma Provostial Professor in the Arts and Humanities at Stanford University. Prior to joining Stanford, he was a professor of art history and American studies at Yale University. He has published several books and articles pertaining to the culture of American art dating from the eighteenth century to the 1970s. His writing often analyzes fiction and poetry alongside works of visual art.